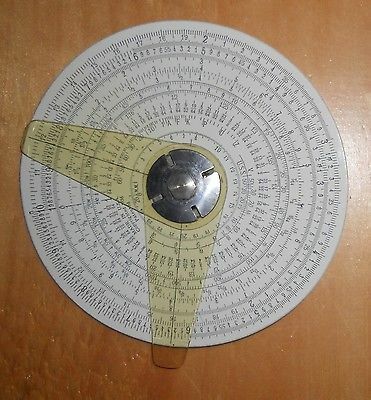 The Midget Circular Slide Rule is a circle shaped slide rule made of Aluminum and coated in white plastic. It is held together by a screw and 2 supports in the center, 3 plastic indicators stem from the screw, 2 on the front and 1 on the back. 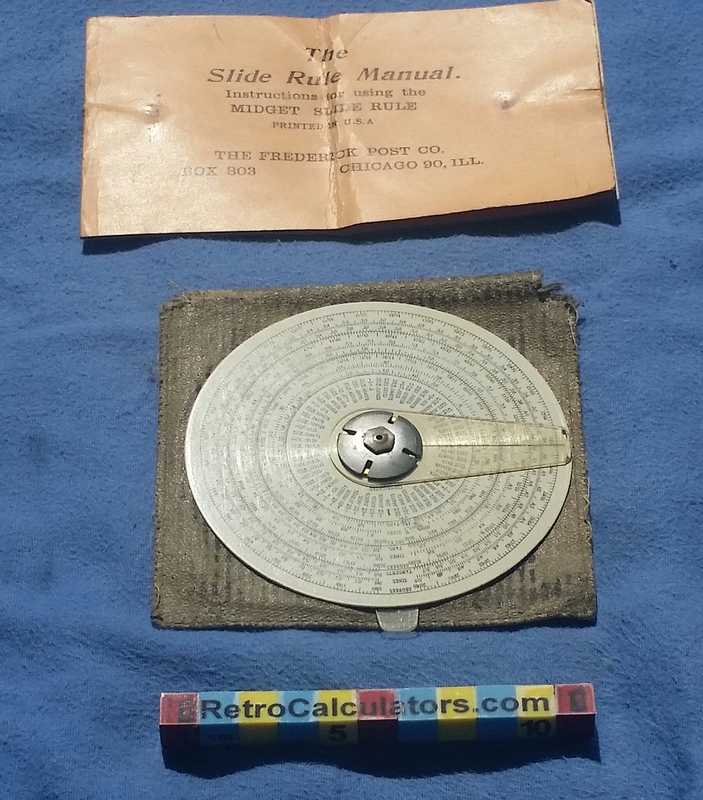 It was manufactured by the Gilson Slide Rule Company in 1940. 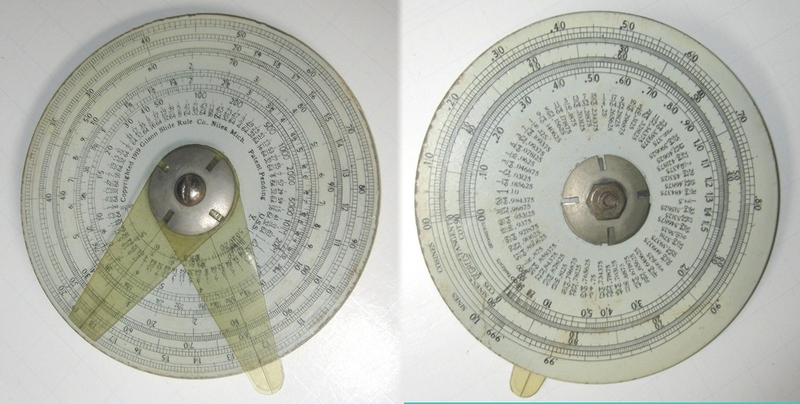 The Midget Circular Slide Rule came with a manual that told the user how to use each part it and came with example problems for each, it also advertised other Gilson Company products inaide. 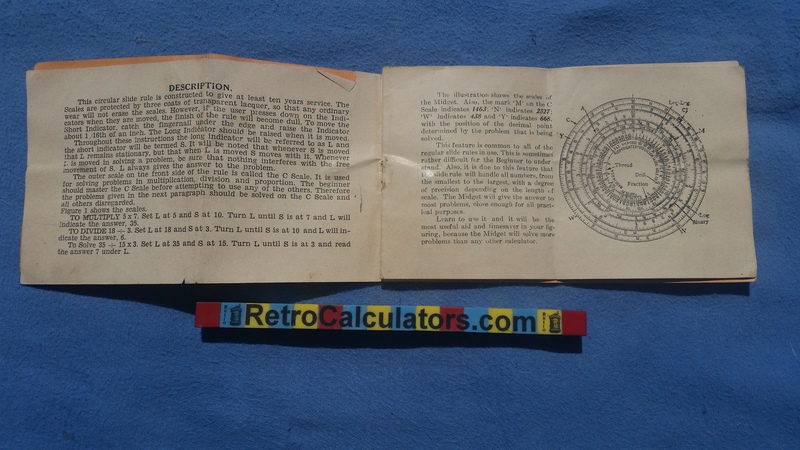 For more information on the Midget Circular Slide Rule visit this site.